An interim report by the Pharmaceutical Society of Ireland says an error in training led to some pharmacists giving adult patients a child’s dosage of the vaccine. File photo of the seasonal flu vaccine being administered. THE PHARMACEUTICAL Society of Ireland (PSI) has published its interim report on an inquiry into the administration of flu vaccine dosages below the recommended level. The report says that an error in training led to some pharmacists administering the child’s dosage to adults. Yesterday it emerged that a number of people who had received the flu jab this season were being advised to return for another vaccination as their first was too-low a dosage to be effective. From the information available to us, it would appear that in a number of administrations of vaccines, the mark on the vaccine barrel, which indicates the paediatric dosing line, was incorrectly interpreted as referring to the adult dose, and some patients were administered a dose of 0.25ml instead of 0.5ml. The PSI says that over 1,600 pharmacists have completed this training programme and that as of yesterday evening, Hibernian Healthcare had contacted 835 of them. Of those, 75 pharmacists were identified as having used the incorrect technique, affecting 489 patients. The organisation has contacted all pharmacists to advise them of the error and instruct them to review all their vaccination procedures to ensure the flu vaccine was administered properly. Responding to the interim report today, the Irish Pharmacy Union (IPU) welcomed the conclusions. It said the “vast majority” of flu vaccine recipients had been given the correct dose and added that the pharmacists “that administered the incorrect dose followed the incorrect instructions given during a small number of training programmes”. The IPU said it will continue to work with all statutory authorities in enacting any measures necessary in preventing a repeat of this situation. Patients affected by the low dosage issue will be contacted directly by their pharmacist. 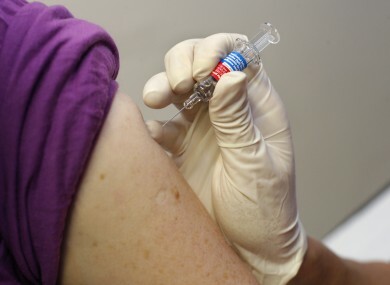 The PSI says there are no health issues over a person being vaccinated a second time. Anyone who is concerned about this issue can contact the PSI on info@thepsi.ie or call 1850 774 734 (during office hours between Monday and Friday). It says its email account will be monitored out of hours. Yesterday, the HSE told TheJournal.ie that anyone who is worried about their vaccine should contact their pharmacist for more information. Email “Over 480 patients affected by low-dosage flu vaccines ”. Feedback on “Over 480 patients affected by low-dosage flu vaccines ”.